Growing up in Florida I have spent many summer days at the beach. And now having children of my own I love when we are able to rent a place close to the beach and spend our days making sand castles, catching fish, jumping waves, eating sandy sandwhiches, and staying up for the late setting sun. My happy place is the beach. 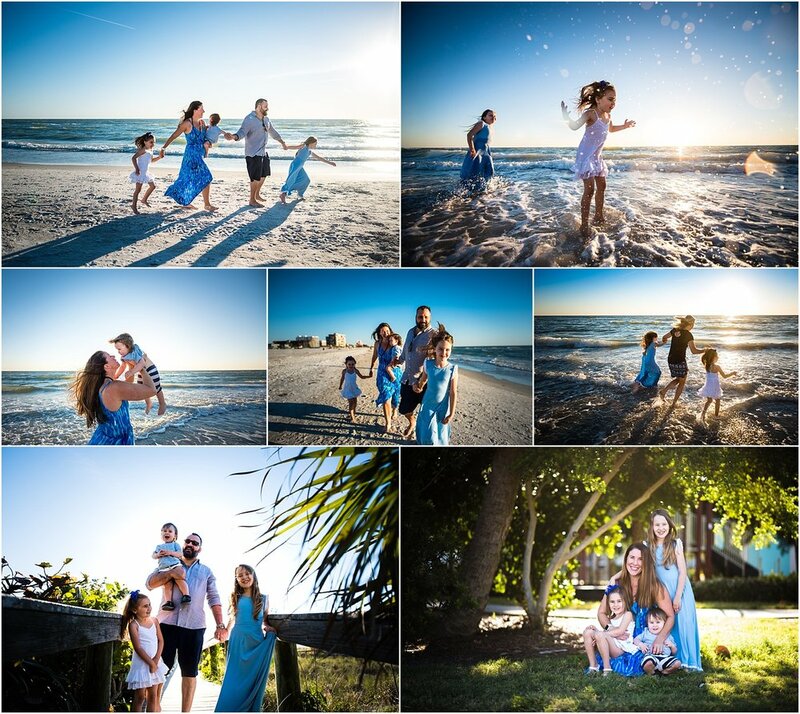 Combining my love of photography, the salty air, and capturing families having fun is my idea of a dream job. I'd love to capture your beach vacation....the playing, the laughing, the loving, the beauty! I grew up going to Anna Maria Island and it continues to be one of my favorite locations to visit with my family. I have seen some of the clearest most colorful water on AMI. I am consistently blown away by each unique sunset. See an extended family session here. Saint Petersburg Beach (including Pass-a-grille beach, Treasure Island) has loads of white sand, space for families to run and play, beautiful sunsets, and perfect salty water! For local folks in Tampa, sometimes driving the hour to the beach isn't feasible. A local beach option is Cypress Point Park. It offers beach vegetation and water with sea creatures for kids to explore. Picnic Island can provide hours of fun for a family!! There are mangroves and rocks to explore, space for frisbee or kite flying, a playground and a small beach for sunset shots.